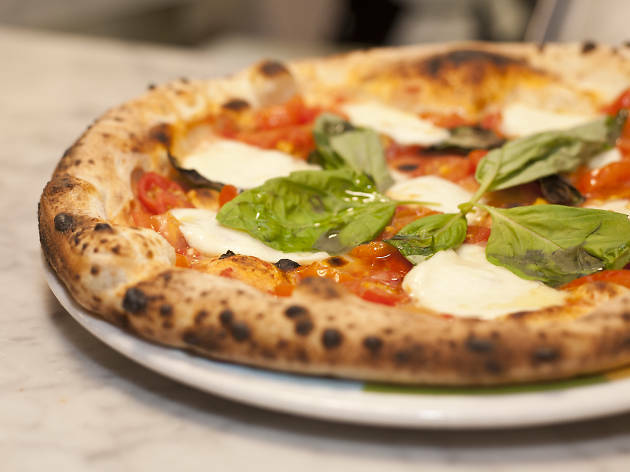 Rossopomodoro, the pizza shop inside Flatiron food hall Eataly, is welcoming some big names for its Star Chef Pizza Collaboration Series, kicking off June 1st. Guest chefs will rotate monthly through November: The lineup opens with James Beard Award-winning chef Dave Pasternack (Esca), who will churn out a burrata-bottarga pie with lemon zest and black Hawaiian salt; other participating chefs include Dale Talde (Talde, Massoni) Einat Admony (Balaboosta, Taim) and Jonathan Wu (Fung Tu). The za we're most excited about, however, is the one from Josh Russ Tupper of Russ & Daughters, the iconic appetizing store known for its smoked fish and fresh bagels. Details on the pie haven't been unveiled just yet but we're already dreaming of a lox-topped round dolloped with rich cream cheese. 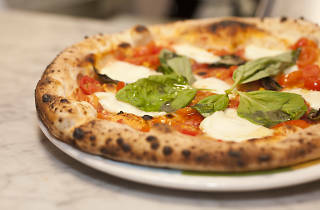 This is the stuff of pizza dreams, people.